Two liquor division employees, who began their careers working side-by-side at the former Coborn’s Liquor store on 5th Avenue in St. Cloud, recently marked the same milestone anniversary with the company. 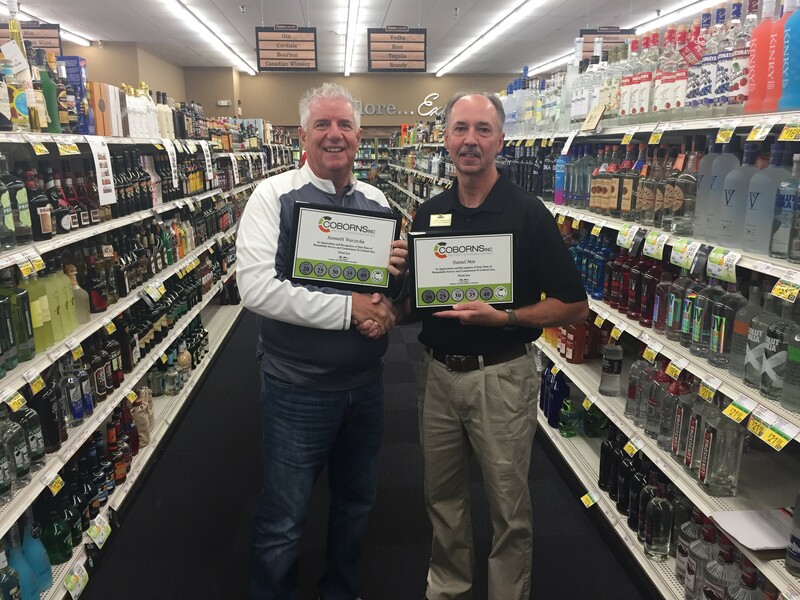 Ken Warzecha, a District Manager in the Liquor Division, and Dan Moe, Liquor Manager at Coborn’s in Little Falls, celebrated their 40 year anniversaries in August and September. Both were hired a month apart back in 1978; Ken in August and Dan in September. Moe recalled what it was like when he advanced to his current position in Little Falls. He had been working as the Assistant Manager at Coborn’s Liquor on 5th Avenue and got an unexpected call from an unexpected person, to take an unexpected trip to Little Falls. Ken and Dan recently took a photo together with their 40 year plaques to make the milestone anniversary, which is pictured above. 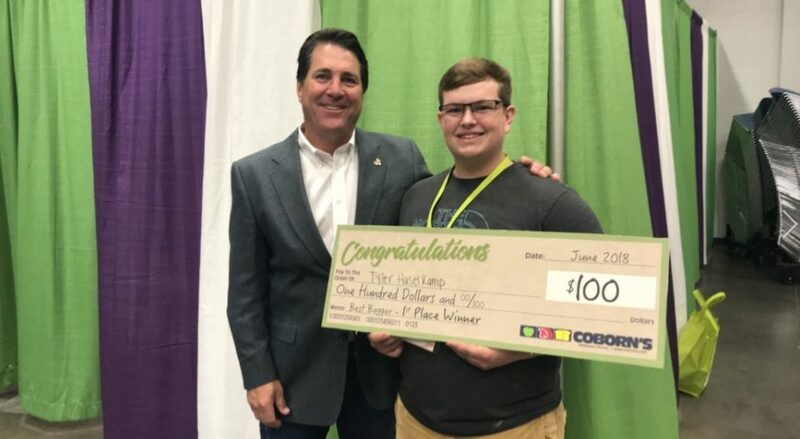 Tyler Haselkamp, an employee at Coborn’s in Clearwater, has been named the state’s top bagger this year after taking first place at the annual Minnesota Grocers Association bagging competition on Saturday. 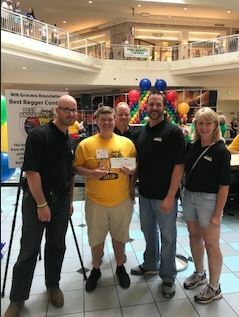 The event, held at the Mall of America in Bloomington, was a face-off between nine of the best baggers across Minnesota. All of the participants were judged on bagging speed, style, attitude, proper bag building technique, and weight distribution of the bags as they worked against the clock to strategically pack food into reusable bags. 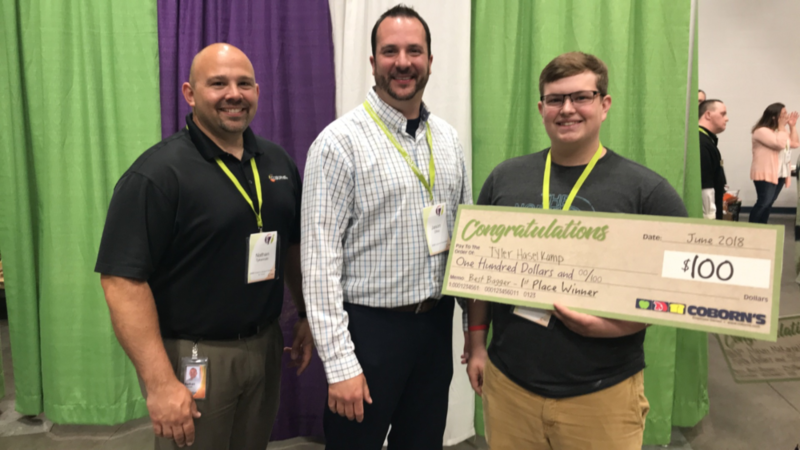 Tyler won $500, a trophy and a trip to San Diego where he will represent Minnesota in the National Grocers Association (NGA) bagging competition, which is scheduled to take place in February. Tyler was not a stranger at the Minnesota Grocers Association tournament. He competed there in 2016 and 2017; last year he took home 2nd place. The MGA has held the Best Bagger Contest for 30 years. This contest is important to the MGA and its membership because it is a fun, fast-paced, and an entertaining competition, but most importantly, this event showcases the talents of one of the industry’s key employees. 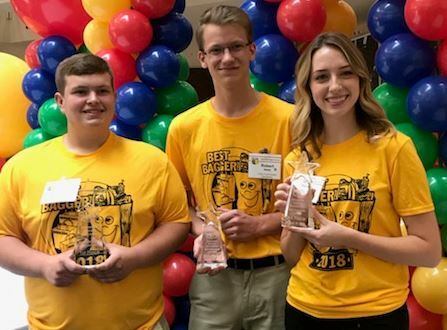 Baggers are the people responsible for the last experience customers have in a store, and the contest’s focus on these top baggers truly exemplifies the food industry’s dedication to customer service. Tyler with co-workers at the event. Tyler with Jason Zilka, Store Director at Coborn’s in Clearwater. 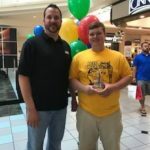 June 2018: Tyler with District Manager Nathan Tykwinski and Coborn’s Clearwater Store Director Jason Zilka after his victory at the Coborn’s “Best Bagger” competition. Tyler with Coborn’s, Inc. Chairman, President & CEO Chris Coborn after his victory at the Coborn’s “Best Bagger” competition. At Coborn’s in Long Prairie, summertime brings with it a cookout that’s become somewhat of an annual tradition. For $3 during “Cheeseburger Days,” guests receive a cheeseburger, chips, ice cream and some milk to wash it all down. It’s no coincidence that the menu at this annual event is heavy on dairy. That’s because “Cheeseburger Days” is a fundraiser that benefits the Todd County Dairy Princesses Association. 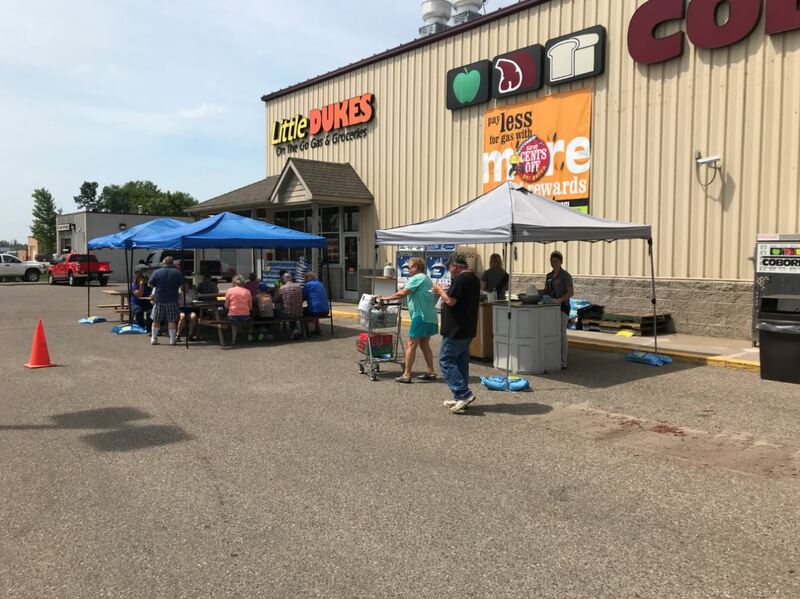 This year, both our store and this organization, were able to raise $550 when they held the four-hour at Coborn’s in Long Prairie on June 29. Congratulations to the team at Coborn’s in Long Prairie for putting together this annual event that benefits a great organization!